An enchantingly illustrated version of the classic fairy tale, with delicate cutaways and flaps to lift. 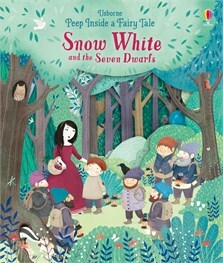 Join Snow White as she meets the seven dwarfs, takes a poisoned apple from the wicked witch, and is saved by a prince. A delightful way to introduce children to this much-loved tale.